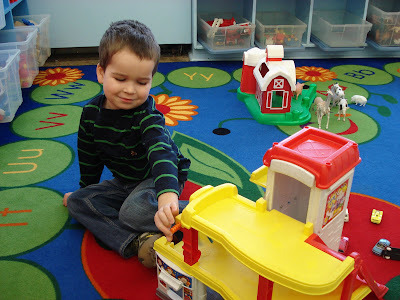 Levi started preschool this past week! 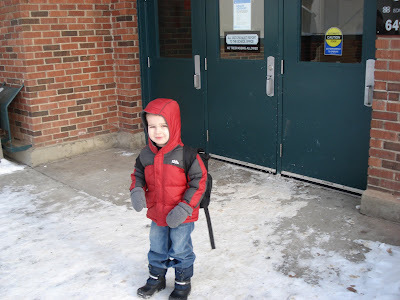 He was so excited and had a great time at school. 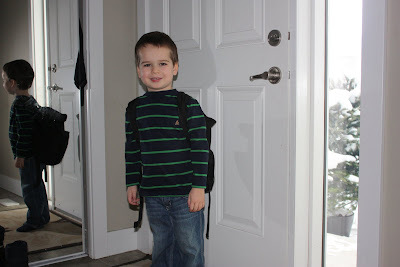 Levi goes to preschool 2 times a week and he counts down the days until he can go to school again. 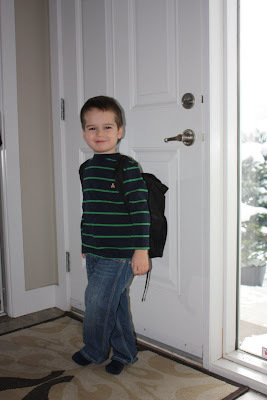 All ready to leave for his first day of preschool! He looks like such a big boy! !